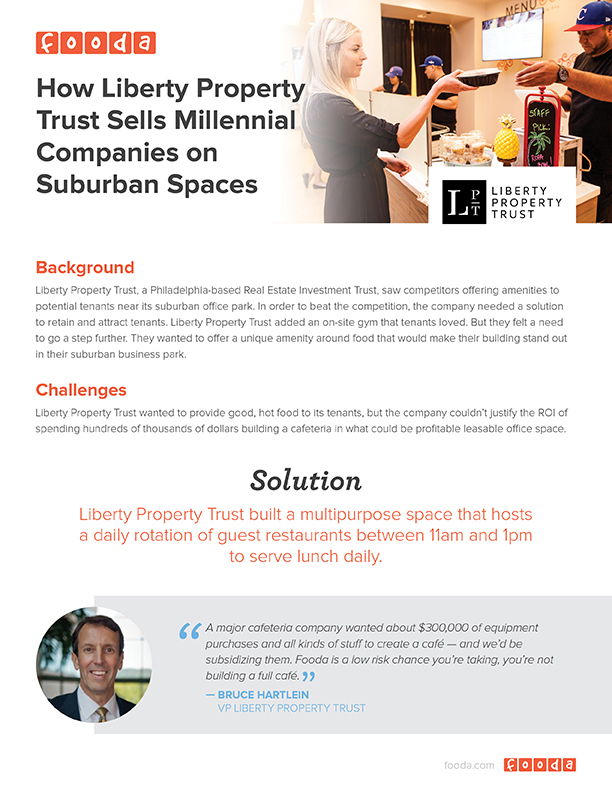 Liberty Property Trust, a Philadelphia-based Real Estate Investment Trust, saw competitors offering amenities to potential tenants near its suburban office park. In order to beat the competition, the company needed a solution to retain and attract tenants. Liberty Property Trust added an on-site gym that tenants loved. But they felt a need to go a step further. They wanted to offer a unique amenity around food that would make their building stand out in their suburban business park.